blogging has been great for me... I made so many awesome friends.. people who were like minded and good at heart. Cant think of any particular instance where a blogger was deliberately fighting or bitchy with me.. like you, I also felt that most bloggers were cordial and downright helpful at times.. I have mostly had good experiences and have met some awesome bloggers too. The bad ones will always be there Vinita, and such experiences teach us a lot too. I choose to ignore them, leave them to their karma and move on. 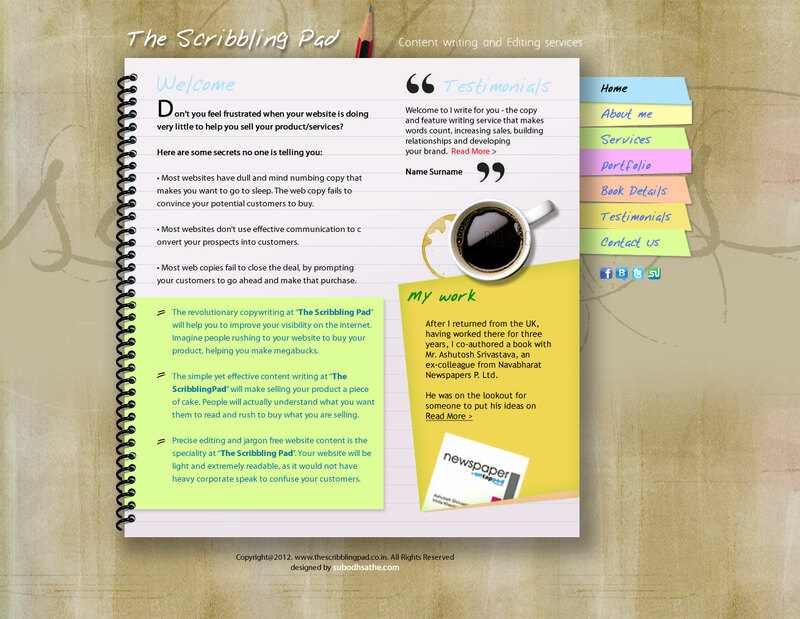 Wish you loads of successes with your new site! very best and may this open a whole wide world of creative opportunities for you. For me blogging is a creative vent where I have learnt a lot and made some wonderful friends. Blogging world has changed just like everything else. In fact it is replica of our real world where we have the good, the bad and the ugly too! I have made some good friends in this blogging world. I've learned so much about how this whole writing thing is not about me, but how my writing can impact someone else's life. I've had good experiences so far with blogging. It could be because it's a devotional blog, and most of my readers are fellow Christians; no matter, I am grateful! Congratulations on your new venture, Vinita! Here's wishing you all the very best for it. Blogging has been a lot of fun for me so far, hoping that it stays that way. People are people everywhere! We get along with some, do not with others. In person, there are some emotional reactions that are beyond your control at that point in time. In Blogging, you write out your reactions and have time to cool off. So, there is a lot lesser conflict here but it is too much to expect no conflict at all. The thing about artistic expression of any sort is that more of the person's character is on view than would be the case in a casual meeting. Finding like-minded souls and forging friendships is faster here. That, at least, has been my experience and I love it. Welcome back, Vinita. Glad to have you in the loop again. And many congratulations on your new venture. May you prosper and cater to many people out there who need a whack for their poor writing skills. And as Suresh has rightly mentioned, people are people everywhere - be it in the real or virtual world. Frail egos and superiority complexed people sometimes do make things difficult but not impossible. 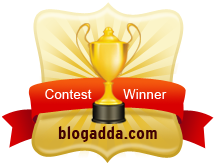 In spite of everthing, blogging has been and will be my life-line through which I connect with many lovely people and you are also one among them. I wish you the best with everything and I will remember to reco you to people and friends. Blogging has been great for me. I never had any problem with fellow bloggers. As far as nasty comments go, I promptly block such people. You did the right thing, Keep it simple is ALWAYS the best policy, especially for the idiots like me ..
YOU are right about what blogging world has become and my latest post as you read is an example of that, people say nasty things on ur back, a lot of groups have come into being where they talk things about you.. Recently I have got to know exactly what some think of me , because when they were discussing me in their own little group they forgot that some of them are friends with me too.. I am glad that I am not a part of any of these groups, yet i was involved in something anyway .. such are people .. I am slowly learning the ropes of this world and getting to grips to all of this. all the best with it alll, will go over and have a look for sure ..
Dear Vinita, I agree with you about how the blogging world has become and how some of our good friends got sucked into a lot of bad blood.. yet, I believe, the good always prevails and shows through. Blogs are all open for everyone to see and judge, and every blogger does have their own sense of judgement. We need to take all this in our stride, because human tendencies are everywhere - where there is a bunch of people, there is interaction, there is bonding, and there is angst, rivalry and enmity. Happens.. I am a content provider like you. Loved the last line Vinita and totally agree that there is enough room for everyone here..
Congratulations !The site looks beautiful. Congrats on the website .... and Simple is always nice - though easier said than done. I agree bad ones will always be there..it is just that there have been too many incidents recently hence I felt that it is not the same place it was. Thanks Shilps :) Friends like you make my day brighter. Yes, blogging world is a replica of the real world with villains and heroes too.. Welcome to Lazy Pineapple Jennifer :) Glad to know you have a good experience in the blogging world. Hope it remains that way. Thanks Raaji :) glad to know you delurked. Thanks and welcome Martha :) It is always nice when like minded people meet and share thoughts. I am glad you have had a good experience in the blogging world. I agree Suresh, people are people but when vile incidents happen too many times, it makes you wonder whether people realise that the spoken word can be forgotten but how will you erase a written word on the internet. Hey Susan, Thanks a ton :) I agree blogging is definitely an alter ego for me and I have made many wonderful friends through this medium. It is just that recently I have seen too much bad blood and name calling the blog world which prompted me to reflect on the state of the blog world. Thanks Bikram :) People have egos and insecurities of their own which they cannot handle. I feel you need to chill and just not give it any more thought. I believe such things will happen even in the future with someone else since we cannot change people. Yes human tendencies are there but one can also show restrain and maturity in handling issues. Why have bad blood ? For sensationalism or for increasing the number of hits on your blog? I fail to understand such people. People don't realise that the blog world is huge and there is so much space to grow. Thanks Meena :) glad you liked it. Hmm..... 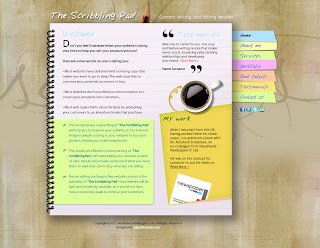 Content writing and Editing services ...... well I will keep that in mind :-) Now to have a look at the actual site.